Niss combined his love of dancing and people to become a Ballroom dance Instructor in 1994 for the Arthur Murray Dance Studio in Bethesda, Maryland. Proficient in both smooth and rhythm dance styles, he keeps his professional training current and innovative. He has trained, choreographed, and participated in local and national showcases with top professionals in the dance industry. Niss was a part of several dance teams and is now the director and a choreographer for the SalsaNow Performance Team. He is one of the most respected and favored instructors in the Baltimore area, as well as a preferred instructor for Johns Hopkins University's Hopkins Dance Club and Goucher College's Salsa Club. He is often invited by colleagues to teach and also is asked to participate in some of the city's most notable events and community fundraisers. As part of Dancing with Grace Productions, Niss was a lead latin dance instructor for 3 years. A co-founder of SalsaNow he continues teaching dance with an emphasis on technique and style. While having the natural talent for dancing, he also has a rare ability to clarify and break down the most complicated of steps for any student. Currently working as an IT Manager for a large international company, Niss is a loving husband and a devoted father to two daughters. He has a friendly, sincere and magnetic personality that people love, and has the knowledge and teaching style that appeals to students with instruction they can understand and follow easily. 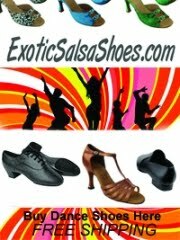 Students like his patience and compassion, and can look forward to a fun class while drawing from his vast experience in many forms of club and social dance (Salsa, Hustle, Rueda, Cha Cha Cha, Merengue, Bachata, Cumbia, Waltz, Viennese Waltz, Fox-Trot, Tango, Quickstep, Swing/Jive, West Coast Swing, Rumba, Mambo, Samba, Kizomba). Niss Albaig of SalsaNow is the current instructor for the Goucher College Salsa Club at Goucher College and Hopkins Dance at Johns Hopkins University. Daniel graduated from the Johns Hopkins University in 2016 with a degree in Public Health. He then completed his master’s training at the Johns Hopkins Bloomberg School of Public Health in 2017, where he specialized in Biochemistry & Molecular Biology. Daniel is currently in the middle of interviews for applying to medical school, where he plans to enroll in mid-2018 to pursue a career in surgery. Born in Lima, Peru he moved to the U.S at the age of 10. He has been a self-taught musician since very young, with skill in playing the drums, Latin percussion, guitars, and keys. He has experience playing with Salsa and Latin Jazz bands in both New York City and Baltimore. Daniel started dancing at the age of 18 while in college, and is now well versed in many styles of ballroom and Latin dance. He was the founder/captain of the only Latin dance team at JHU: Baila! and part-time dance instructor at Arthur Murray during his undergraduate studies. Today, Daniel is an active Latin dance instructor in the DMV community through SalsaNow, teaching private and group lessons on a weekly basis. He is in charge of running the Monday night progressive course at the Ideal Arts Studio in Hampden, Baltimore.